Overwatch Game Director Says Tick Rate Complaints Due to a "General Misunderstanding"
Overwatch game director Jeff Kaplan says that complaints about the game's tick rate are a result of a "general misunderstanding." If you've done any reading online about Overwatch, chances are that you've heard at least one complaint about the game's tick rate. Tick rate is the frequency (measured in Hertz) at which the server updates the game state. A server with a tick rate of 60 will send an update packet to the client 60 times per second. The client's tick rate determines how often it will accept those packets. Clear enough? The Overwatch complaints center around the game's 20.8 Hz client tick rate. Players have said the game feels sluggish, and that the low tick rate leads to kills happening that really shouldn't have. But Blizzard's Jeff Kaplan, the game director for Overwatch, says that's not the case. In an interview with Eurogamer, Kaplan said, "That just shows a general misunderstanding. I think players have latched onto server tick rate as being the reason that certain things happen." He went to say that the server "does tick at 60Hz, it's the client update rate that is lower." He also added that there is a 60Hz tick rate option for clients in custom games but that so few players are using it that Blizzard has little data to learn from. "They're demanding it, it's in the game and playable, and right now we're seeing about 0.08 per cent of all matches that take place in Overwatch are actually using the feature," Kaplan said. "It would be wildly irresponsible for us to add that to something like quick play or competitive without getting more testing on the feature." Kaplan encouraged players to use the feature to provide that data to Blizzard. "This is something that you care about and you want to see more of: well, please use more of the feature that's in the game. Give us feedback, so we can iron out all of the kinks with it and if things are looking good, we can absolutely add it to other parts of the game." He also encouraged players to watch this YouTube video of developers explaining how the netcode works, as it would allow them to "comment intelligently on what is and isn't a problem." It's unlikely that these assertions will quell the complaints, although it may result in more people using the custom game option to try out the 60Hz tick rate on the client side. 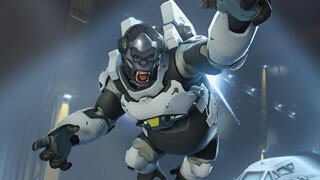 Let us know what you think about Kaplan's comments in the forums.